I love granola. It's got just the right amount of toasted nuttiness and sweetness one looks for a morning meal. 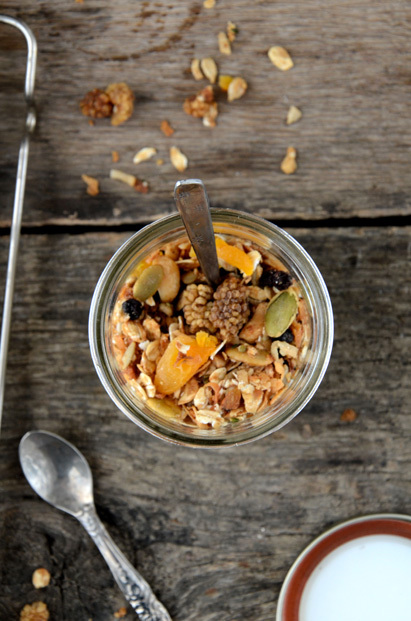 The one good thing about making your own granola is? Well, you can add just about whatever you love AND control the amount of sugar since we all know how unhealthy this 'meaning to be healthy' cereal can get. So I've been meaning to post this for quite some time now. I actually forgot the recipe/can't find it so sadly I won't be posting the exact one. I was going to wait until I made it again and go from there but I figured my blog just maybe needed a new post. I did however find a pretty amazing recipe that's quite similar here. my husband and i went to a bed and breakfast last month and the lady who owned it made some delicious granola +yogurt parfait. it was too good! thank you for the recipe!! 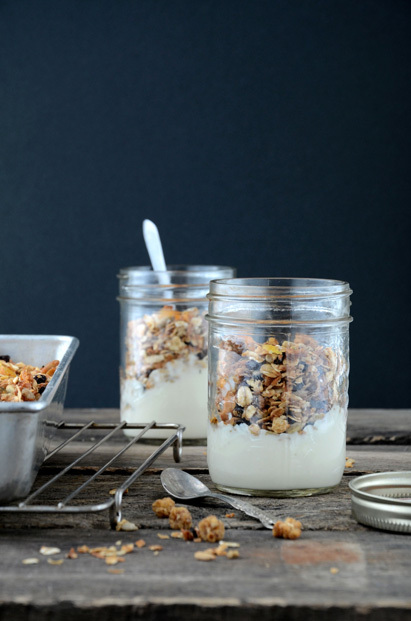 This looks delicious, homemade granola is always best. This would definitely get me out of bed in the morning! Good to have you back. 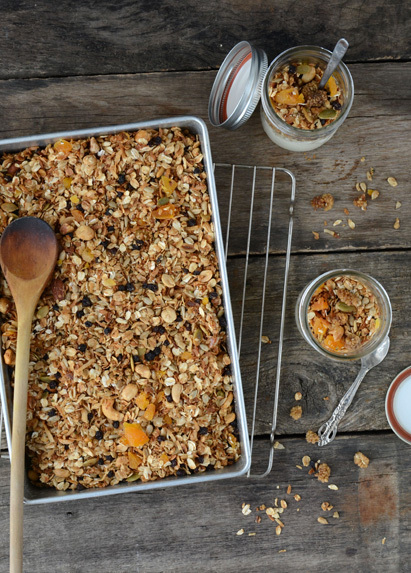 I LOVE the Kiss My Spatula blog and your version of this granola looks delicious - perfect Springtime breakfast. Hmmm...the pictures reminded me of a camp activity when I was a summer camp leader a few years back. Thanks for sharing Ash!